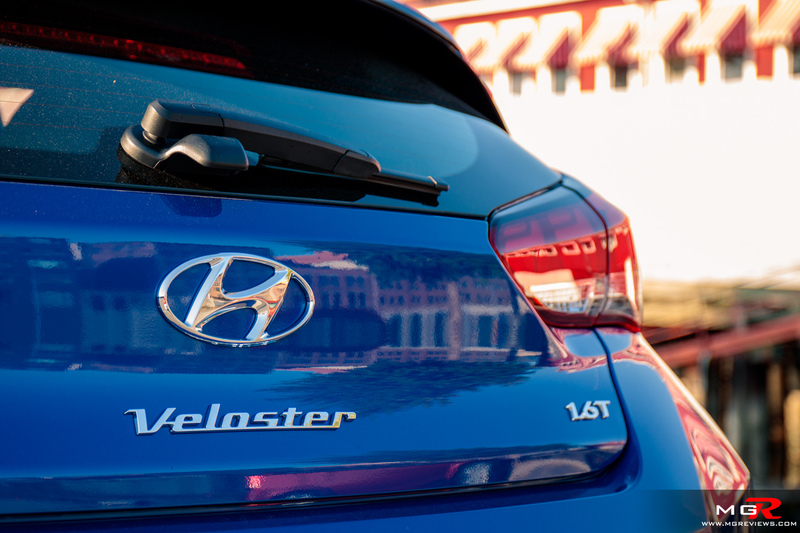 The Hyundai Veloster has to be one of the quirkiest hatchbacks on the market today. Its unique styling and 3 door arrangement make it unlike any other vehicle. 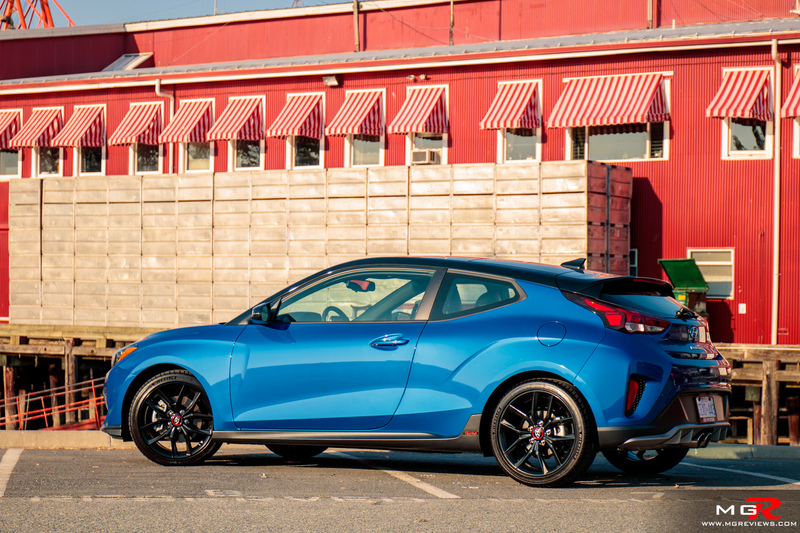 Now in its second generation, the Veloster keeps the good parts and improves on others. 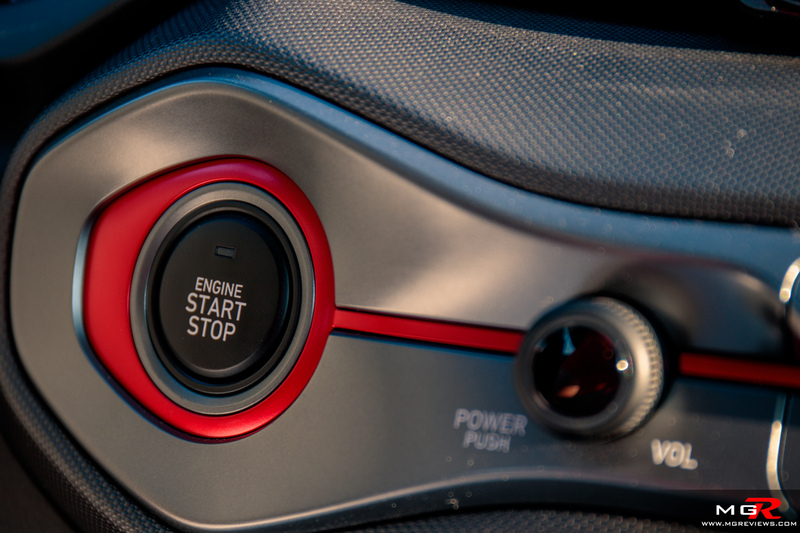 Engine – One of the things that it keeps from the first generation is the 1.6L turbo engine. 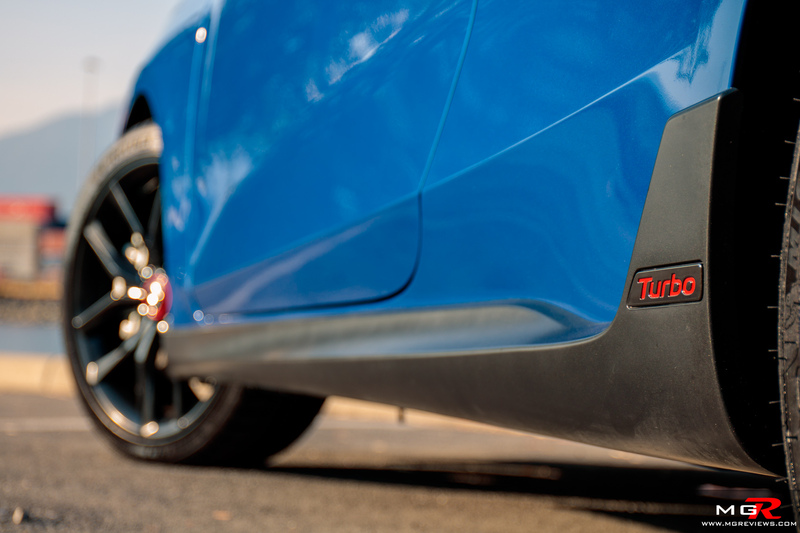 It produces 201hp and 195 lb-ft of torque. 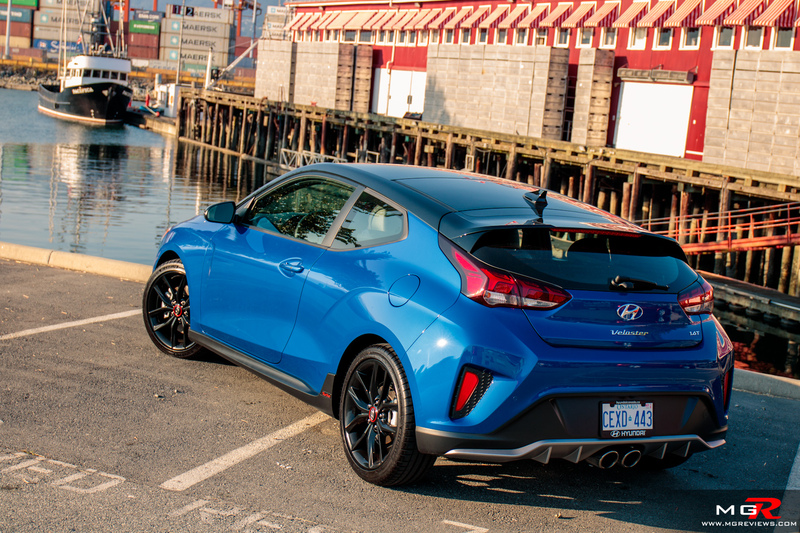 This puts it in direct competition with the Honda Civic Si but unlike the Civic, the peak torque on the Veloster Turbo is 500 rpms lower at 1,500 to 4,500 rpms. 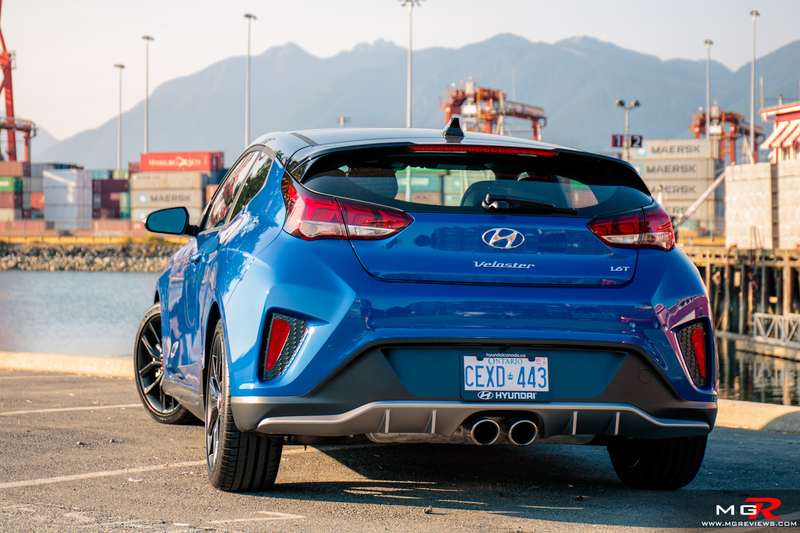 As a result, the Veloster’s sprint to 60 mph (96 km/h) is 6.2 seconds in a Car & Driver test; 0.1 seconds faster than the Civic Si. While it has plenty of oomph at low rpms, it falls a bit flat at the top end. You can feel the car not accelerating as hard when the tachometer needle edges closer to the redline. So it’s best to shift about 500 rpms before that redline to keep the maximum momentum going. 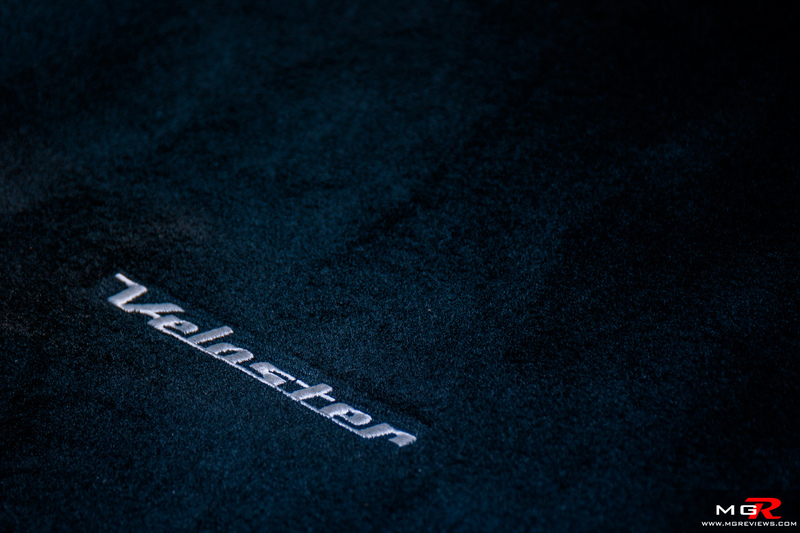 Transmission – A 6-speed manual or 7-speed dual clutch automatic are the two transmissions that are available with the Turbo Veloster. 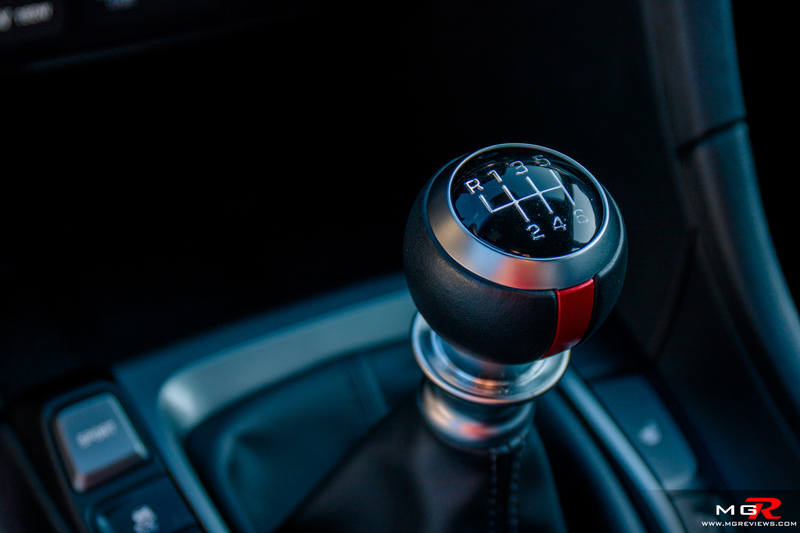 This test vehicle is equipped with the manual transmission, as all hot hatches should be. 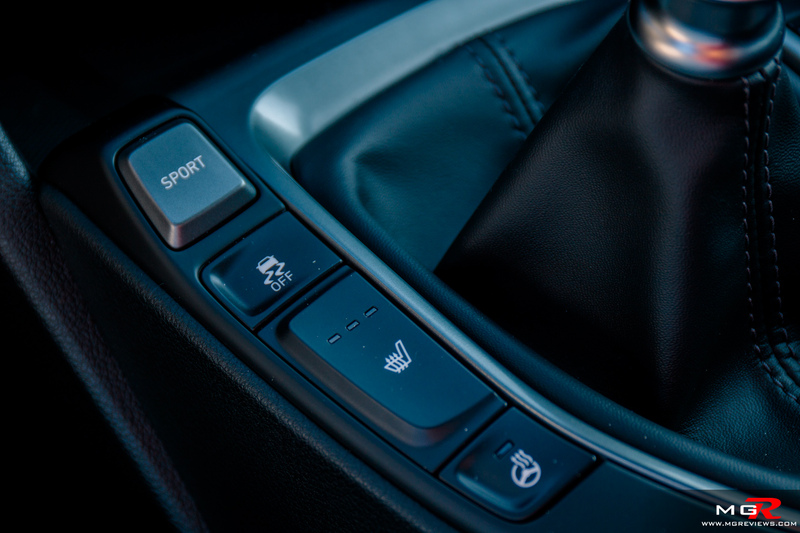 The short-throw shifter feels sporty and slides into gear easily but it doesn’t have the crispness of the Civic Si’s shifter. The clutch pedal is light and has a definitive engagement point. 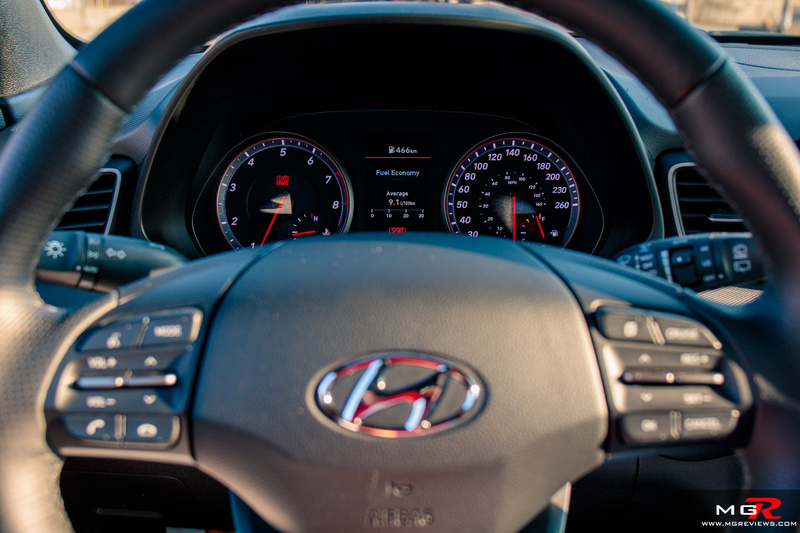 Brakes – The Hyundai veloster comes to a stop quickly when you stomp on the brakes. The pedal is firm and easy to modulate whether driving in boring city traffic or on twisty mountain roads. 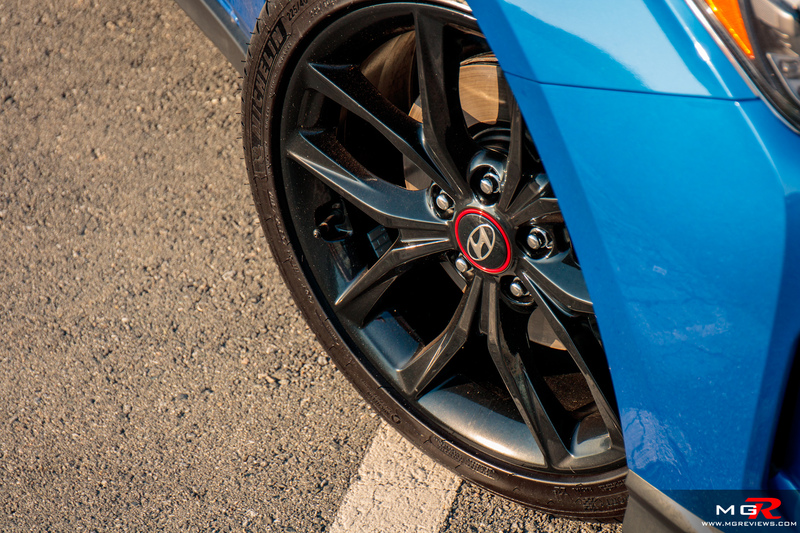 The Veloster also uses the rear brakes as torque vectoring to help turn the car more around corners but you won’t really notice it unless pushing it to its limits. 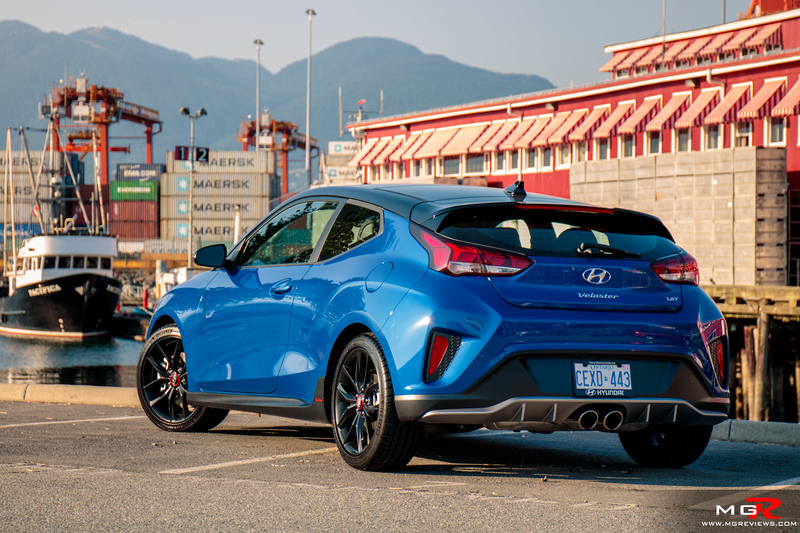 Handling – Going around corners is where this second generation Veloster Turbo excels. The previous generation felt unsettled especially when it went over bumps. 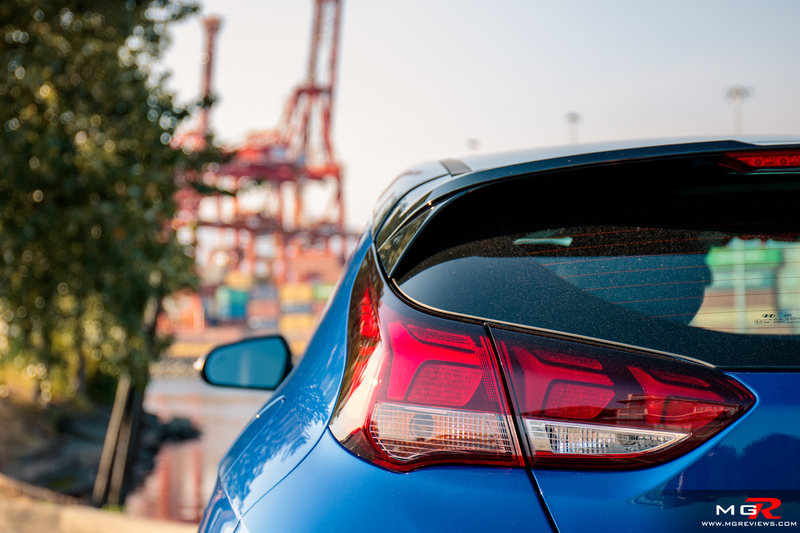 This new, lighter Veloster feels more planted than before. With the optional 18” wheels and Michelin Pilot 4 tires (by the way, a fantastic $500 option worth getting), the little hatch has a lot of grip around twisty mountain roads. The steering though could do with a bit more feel, a downside of today’s electro-assisted steering systems. 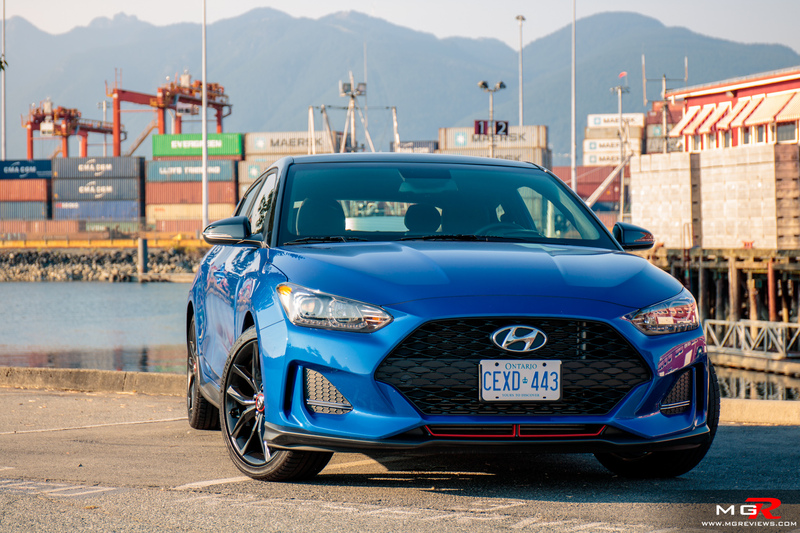 Ride Comfort – While hot hatches have sportier suspension than their non-sporty counterparts, the 2019 Hyundai Veloster Turbo still manages to have a fairly comfortable ride. Over big potholes the ride does get jarry but for the most part you can go for long drives without feeling tired from the suspension. The seats however are not quite as comfortable as the padding is a bit too hard and you feel as though you’re sitting “on them” rather than “in them”. Getting into the back seats is easy thanks to the third door on the passenger side of the car but space is limited. 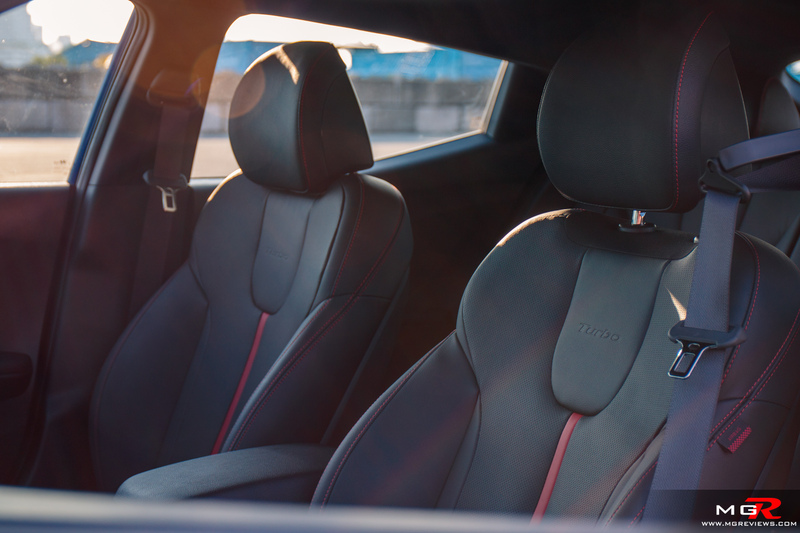 Noise, Vibration, & Harshness – The interior feels well put together as nothing vibrates or buzzes when driving over bumps or at certain highway speeds. There is some noise coming from the exhaust, as there should be in a hot hatch, but it could be a bit louder in my opinion. Hopefully when the Veloster N comes out, it will address this “problem”. 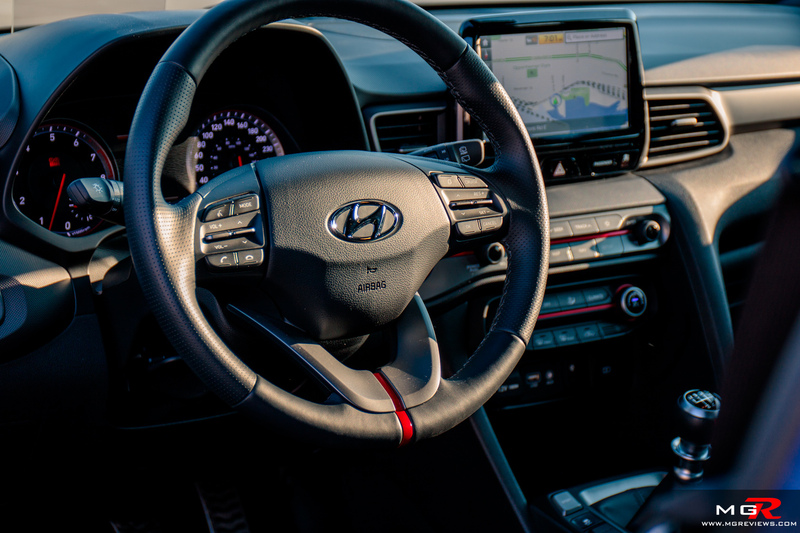 Interior Design – The previous generation Veloster had a funky interior with a start/stop engine button in the middle of the center console and door handles that appear as though they’re floating. 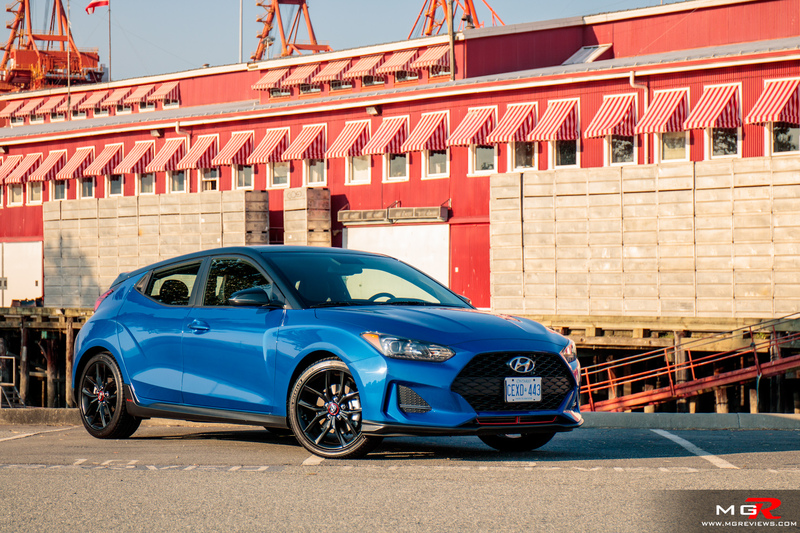 This new 2019 Veloster Turbo has neither of those things and looks more traditional on the inside. It follows the same styling design as the Hyundai Elantra GT. It’s not bad it’s just not funky as one would expect from an asymmetrical car with two doors on one side. 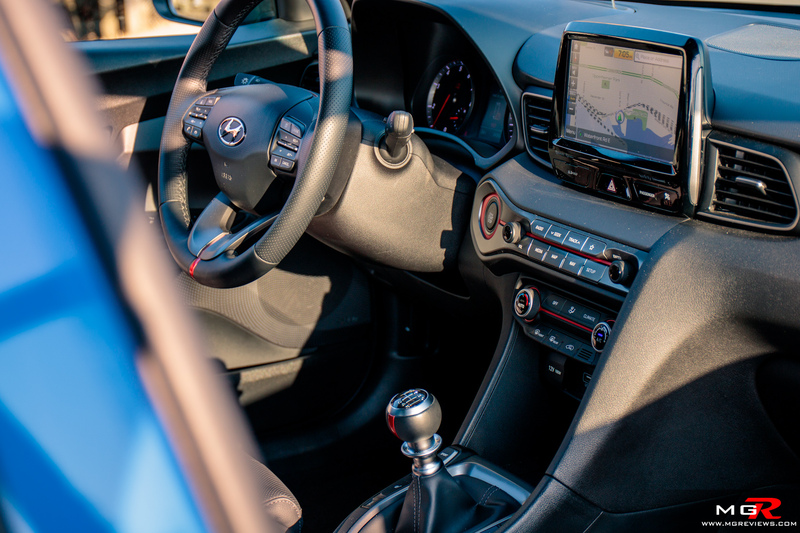 Gadgets – The Veloster Turbo comes fairly well equipped as is with heated seats, heated steering wheel, sunroof, keyless entry with push button start, and an Infinity 8 speaker audio system. 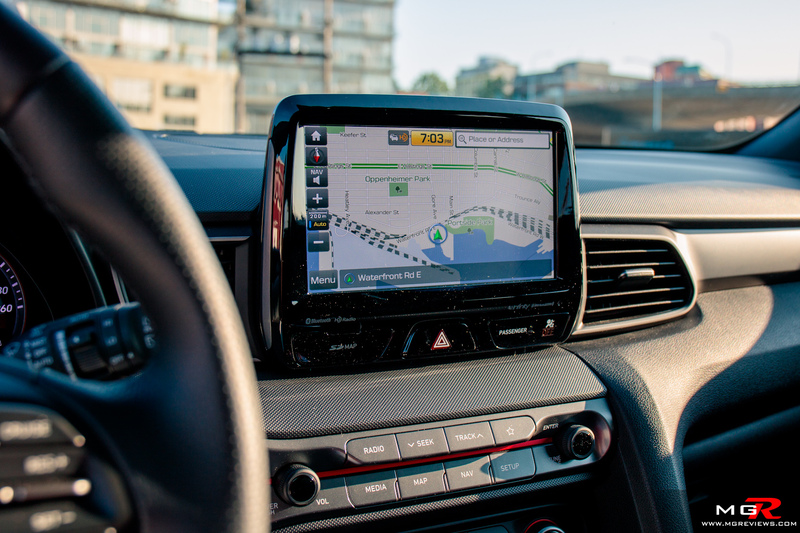 You can opt for the Tech package which adds navigation with Apple CarPlay and Android Auto, wireless phone charging, and a heads-up display. It’s a fairly well equipped hot hatch for under $29,000 CAD. 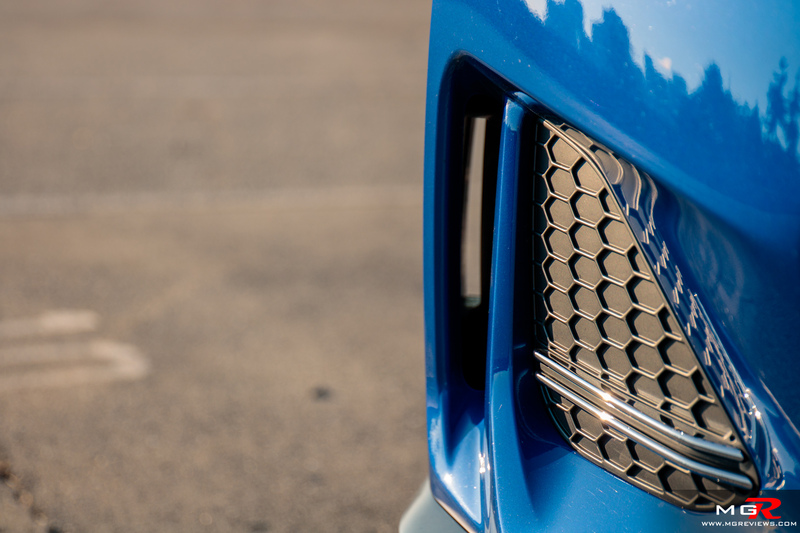 Exterior Design – While the interior of the Veloster may not look as funky as before, the exterior still remains as a stand out. The three door configuration is subtle enough that unsuspecting passersby may not notice that one side of the car has two doors and the other just one. 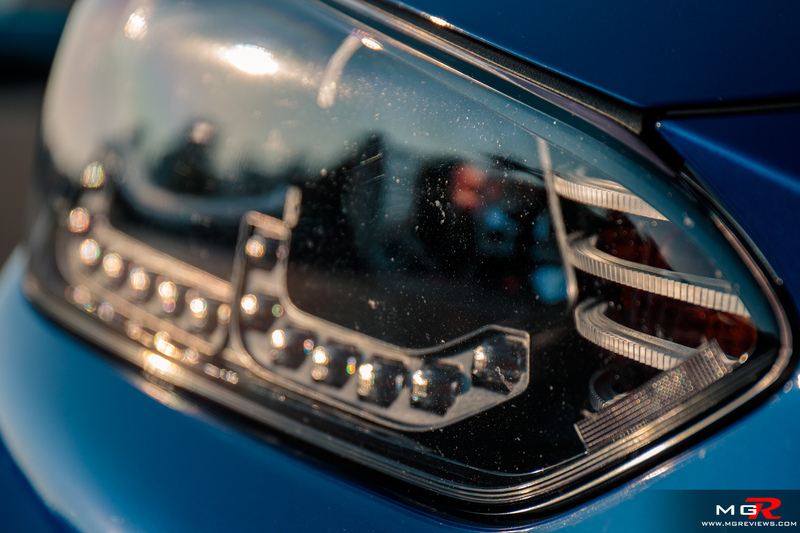 The sloping rear roof line however does hinder on rear visibility when looking through the mirror but parking is easy thanks to the government mandatory backup camera. 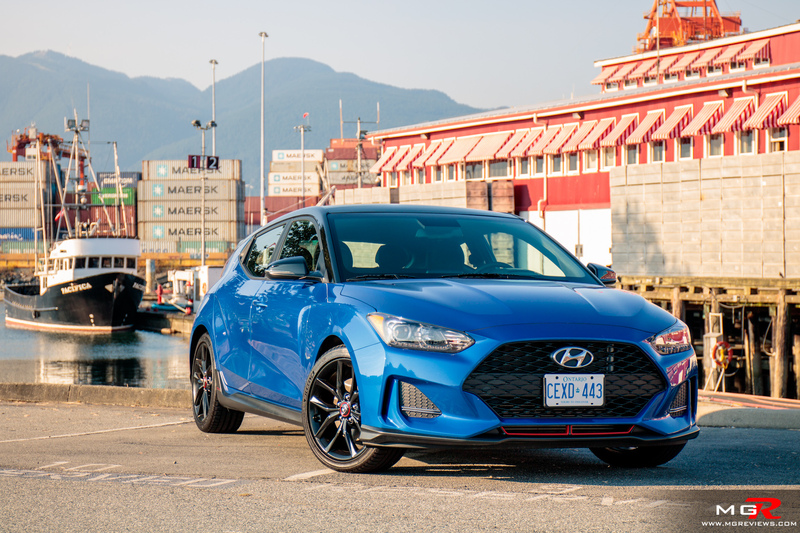 Hyundai did a fabulous job with the second generation Veloster Turbo. They left the good stuff (engine, transmission, usability) and improved on what needed improving (styling, handling, tech). Very often manufacturers completely overhaul a model when it isn’t needed and thankfully Hyundai didn’t fall into that trap. 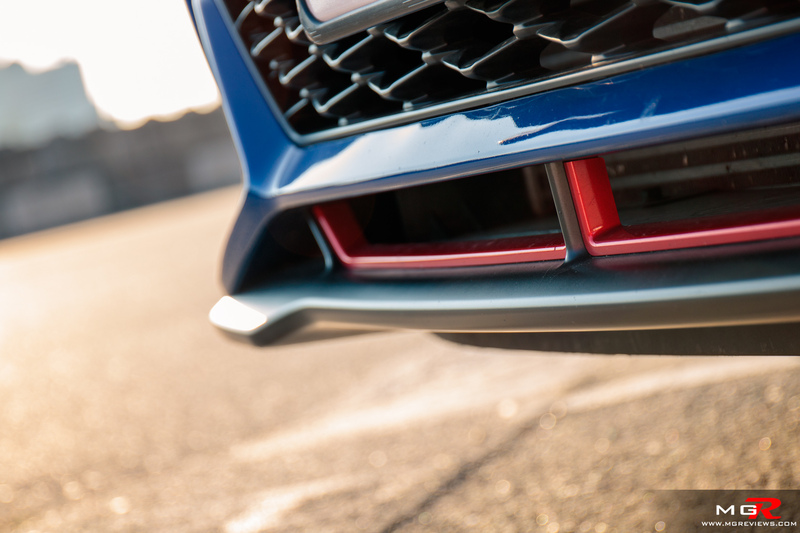 The tweaks they made to the 2019 Veloster Turbo make it one of the best hot hatch sports cars on the market right now.